So, when I was in high school and saw the title "The Designated Ugly Fat Friend" while browsing my local Borders, I was reluctantly curious. I didn't know what the book was about precisely and yet I had a feeling that I would just click with it. When I read The DUFF, I had the sense that Kody Keplinger had seen into all my insecurities and I had read a book that put a name to something I hadn't always realized that I was feeling. Yes, I had felt like the DUFF multiple times. That sort of realization -- a book making you more aware of societal norms/constrictions -- is exactly the sort of feeling I got from Dumplin'. Julie Murphy not only understands female friendship particularly well but she also excels at portraying how we treat female bodies and socialize females to look at their own bodies. If you're a fan of the DUFF, definitely check out Dumplin' this fall. First off, major, major props for the kind of female friendships portrayed in this book. That's not to say that there aren't ugly moments between friends - jealousy, petty words, stupid fights. No, some of that might be there, and in my opinion makes everything more realistic, but at the core is the long-lasting love and identity that comes from deep rooted friendship. It felt like I was sinking back into the slumber parties of Dominoes and maltballs, tussling, watching Miyazaki films, blowing bubbles; or right outside my college creative writing class, my head in my friend's lap as she stroked my hair during our break and we talked; or preparing for a party all together, dancing, pre-gaming, dressing, applying makeup, etc.. The very first lines are about how Willowdean and her best friend, Ellen, met and became such great friends. Ellen has become a part of Willow and remains integral to who Will is at the start of the novel and who she becomes by the end. The romance does not, at all, overshadow the friendship, even if boyfriends are sometimes barriers to honesty and intimacy. But the real props for this book is for exactly what you would expect: Dumplin' is all body types positive. 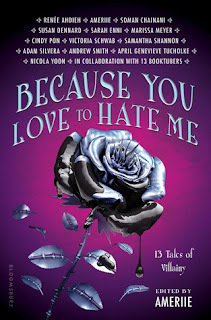 You know, maybe this won't hit as home for other readers as it did for me, but the personal moments that came? I kept bookmarking so many pages. The fad diets, the strain between Willow and her mother and her aunt - that entire dynamic on body weight, the bikini body, the judgment on relationships, the "expected" effect of a romantic interest, romance and intimacy and body weight (No, a boy will not make you feel better about your insecurities; he cannot magically help you feel beautiful. You have to get there first, and deal with how you feel before you can get intimate, etc.). A Facebook friend recently posted a link to an interview from a previous Biggest Loser winner, and how she was saying that show was so dehumanizing and being on it was the greatest mistake of her life. I'll be honest: because reality shows have become so ingrained into our life, and because you literally can't pass a single day without some judgment of a woman's body, and because I'm not being discriminated against for this, I've not really thought a whole lot about fat shaming in a broader societal context so much as the perception of females. This book got me thinking about fat shaming. Thinking, thinking, thinking; and I'm very glad that this is going to be published. I remember, too, when I was in ninth grade - the only author we ever had come to talk to us was a lady who'd talked about how fat is not a feeling, and yet we're always saying we feel fat. Nine years ago, and that's about all I remember except that so many people made fun of that lecture after she had left, and I never understood why because I thought that she had made such great points. So, yeah, even in high school, we couldn't have someone constructively criticize the way we use the word fat in social contexts without turning the conversation into something lesser. Anyway, back to the book itself: yes, this book is all body types positive, and Willow's self-confident attitude -- conquering her insecurities and learning to shine as much as she does on that cover -- was such a pleasure to read! I loved every minute of her character growth, and as I've said before, bookmarked so many pages with beautiful quotes about life and friendship, not just our perception of female bodies. 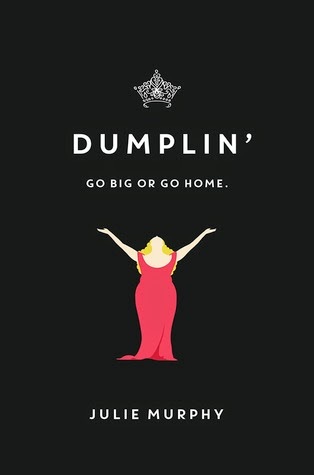 I would also like to point out that Dumplin' is not just about a self-proclaimed fat girl entering the beauty pageant. In fact, I think that this would also appeal to fans of North of Beautiful. Dumplin' is about girls who have felt ridiculed, who have been bullied because they look different or who are shoved into boxes, people expecting very particular things about them -- and how these girls reclaim and empower themselves. The romance is indeed a side plot and used to help fuel character realizations and character growth arcs, but it's definitely still hot and sweet. So is the setting. I grew up in California. I don't know much about the south or Texan culture aside from what some people have told or I've read in books, but I did really love the sense of setting that we got here. It fit so perfectly with the small town vibe, beauty pageant, and sports focus that rounded out the arcs of side characters. In fact all the mention of the iced tea and sometimes the bikinis and hot weather made me think gosh, this would make for a perfect summer read. If you've got an ARC of Dumplin', don't hesitate to read this one. Especially if you were a fan of The Duff and North of Beautiful, and books of similar ilk that I can't seem to think of right at this moment. Hell, forget that. if you're a fan of romantic contemporary novels with a focus on female friendships and positive messages about female appearances, read Dumplin'.